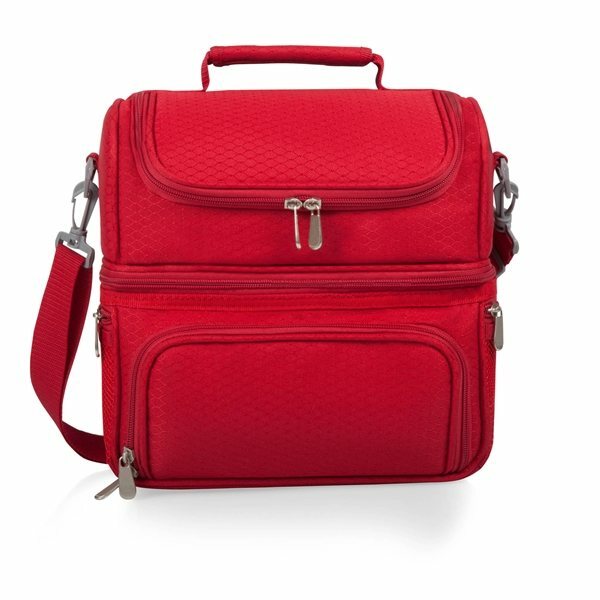 The Pranzo is an insulated lunch box that features isolated sections so you can separate your hot and cold food and drink items. Made of polyester (exterior and interior), the Pranzo also features an adjustable shoulder strap, soft grip handle, side mesh pockets, and a hidden flatware section complete with 1 (18/0) stainless steel fork, knife, and spoon, 1 set of salt and pepper shakers (frosted glass), and 1 napkin (100% cotton, 14" x 14", Blue and Grey Legacy design). 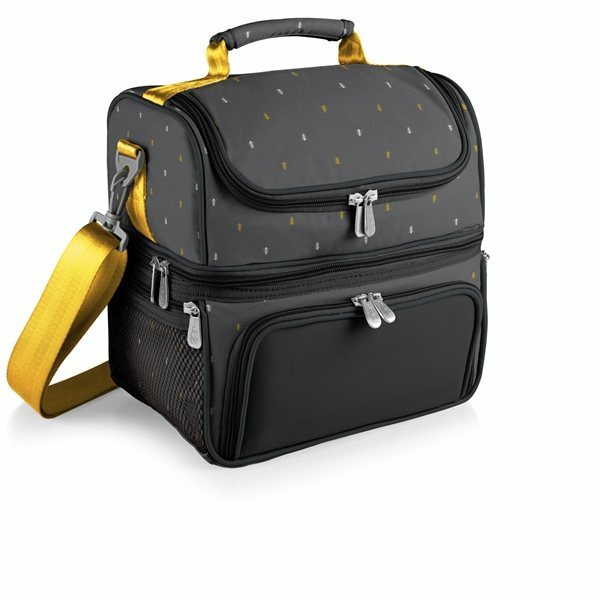 The Pranzo is perfect for school, work, day trips and gift giving occasions. This product is of very good quality. It is sturdy and well-built. A handy item that anyone would like to own. All of our customers enjoyed the whole product. This was the first promotional product I have purchased with printing. I am very pleased with the order.